Wakeboarden auf 1300 Metern in Saalbach Hinterglemm! This event is hold on 1300 meter (4500 ft) above sea level in Saalbach Hinterglemm, one of the most famous ski resorts in Austria. The main cause of the event is to raise money for local families with disabled children. 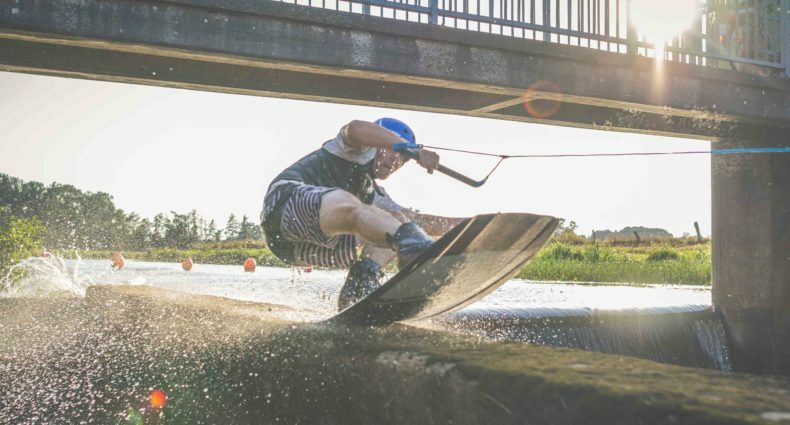 Since 3 years Sesitec is providing their System 2.0 to make wakeboard workshops possible. All the different activities around the small lake are for free (concerts, water bombing, waterramp, SUP, Ssate miniramp, wakeboarding, etc) & everyone can feel free to donate some money. This year within 3 days 50.000 Euro were collected for the local families! A big shoutout for the local freeski crew organizing this incredible event.